Sky News’ live ten-hour broadcast behind the scenes of its UK newsgathering operation today gave viewers a unique insight into the workings of a major modern newsroom, just without the swearing. Sky News Raw was a bold, brave and engaging project, conceived in celebration of Sky News’ 30th year on the air (to the day) that will go a long way in boosting trust in the media through transparency at a vital time. More than 40 remote-controlled cameras were installed in Sky’s newsroom and TV galleries in Osterley, west London, and its political studio in Millbank, Westminster, with cameras also following reporters at various external locations, offering up a window into the world of journalism. While there was the odd audio blip and more than a few awkward glances to camera, for a live rolling show running from 7am to 5pm around a 24-hour news operation in full flight, it all went surprisingly smoothly. Admittedly, a delay and bleeper button were deployed in the case of utterances from journalists mouths being unfit for broadcast. It may not silence all the critics of the so-called “mainstream media”, but it did show just how much hard work, early starts and quick decision-making goes into running a 24-hour news operation in 2019. And if trending on Twitter is a marker of engagement nowadays, which it is, the project appears to have been largely a success, with many tweeting their support – although it’s a stunt unlikely to be repeated anytime soon. If you missed it, a partial stream covering the last four hours is still up on the Sky News Youtube channel and below are a few takeaways. Sky News’ pop-up studio outside the Houses of Parliament is now surrounded by a Perspex wall. As newly appointed political editor Beth Rigby explained to viewers, not only has this made the outdoor studio warmer (it previously demanded thermals and thick coats) but it has dulled the noise from all those Brexit protesters who had been crying out during live broadcasts. The latter was revealed as the real reason behind its installation. A sensible decision all round. Sky News Youtube channel has now hit 1m subscribers. 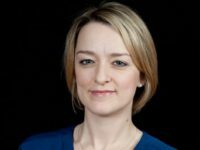 Also, journalists who write articles for Sky News’ digital arm will be pictured on “author pages” as part of the Trust Project, which Sky has signed up to in a further act of transparency. He added: “People who work in news divisions swear a lot… how are you going to do your job? To their credit, Sky still ran with the interview. At one point on Sky News Raw things got very meta – well at a few points actually, but perhaps none more so than when Sky News reported on Sky News Raw, which was, in turn, reporting behind the scenes on Sky News. 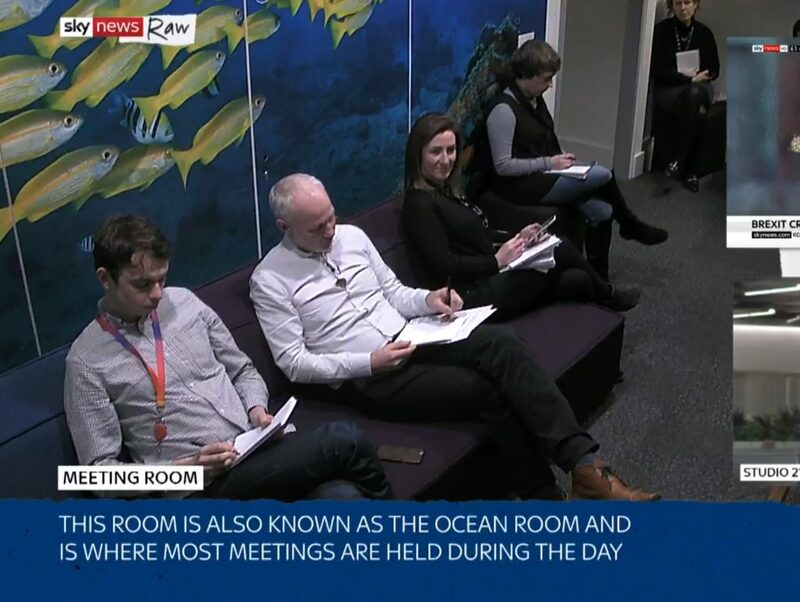 The main Sky News meeting room in Osterley has fish wallpaper and is known as the Ocean Room. It appears to have no windows however. Journalists who get excited over stories about horrific events are not actually evil, it was finally confirmed. As one Sky News Raw presenter put it today in an important disclaimer: “Some of the language used in these meetings, I know a lot of people watching on Twitter might wince slightly at some of the things journalists say, but in terms of stories being good stories or excellent stories, it doesn’t always mean it’s a good story. 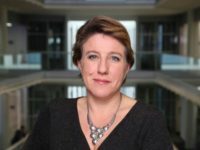 Sky News content director Cristina Nicolotti-Squires revealed there had been “a lot of nervousness about being on television” from those outside the studio. Nicolotti-Squires said: “I don’t think it’s been hard getting here. I think that, despite the fact that there’s a reputation in this industry for not being particularly female friendly, if I can manage it then anyone can. “I’m proud to say that I have been in journalism for 30 years and managed to find a husband – ok he works in TV as well – have two children, managed to do the juggling act and I just think it’s really important that women step up and get jobs in senior roles in this business, not just in TV but in newspapers, right across the media, because 50 per cent of the audience is female. Nicolotti-Squires said: “I used to be a news editor and the guy who was my boss and my mentor always told me when a big story is happening stand up. When a big story breaks people tend to stand up. It looks like you’re in control, you’re an authority. Viewers were told that “when we talk about ‘Sky sources’ it’s when one of our reporters has spoken to somebody that they trust, that they believe, or they may have seen a document with their own eyes but it hasn’t been officially announced”. Cracking piece, Jacqui. It completely accords with the views of me and my wife, both now in our 70s and probably thinking at odds with the majority of our generation . WE WANT CONTRIBUTORS / FREELANCE WRITERS IN DIFFERENT COUNTRIES AND CITIES TO REPRESENT US. To cover art and culture-related news and events in your city/country. If you are interested to write for this NGO, contact us. We are based in New Delhi, India.